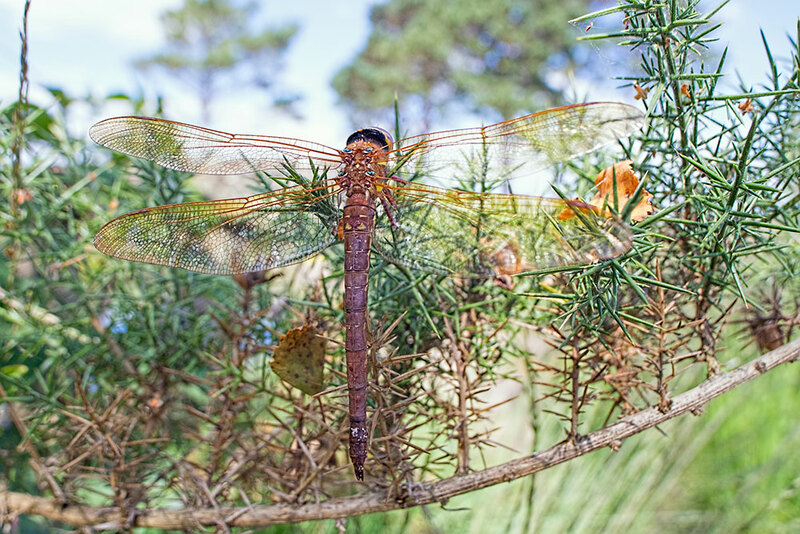 I visited Thursley common on Sunday. The weather was nice and warm, and I had with me a new lens to try out. The Venus Laowa 15mm F4 Wide Angle Macro Lens. This wide angle lens is capable of focusing to 1:1 – although the working distance at that magnification with this wide lens is only 0.47cm, so it is more of a close up lens in use so far for me. The lens is currently the widest 1:1 macro lens in the world. It features manual aperture control which ranges from F4 to F32. It also has a tilt shift facility which I have yet to try out in anger. The manual aperture control means that in certain lighting situations you need to open the aperture up to get focus ( at higher apertures the viewfinder gets dark ) – but I found in the days bright conditions that F11 was perfectly manageable. 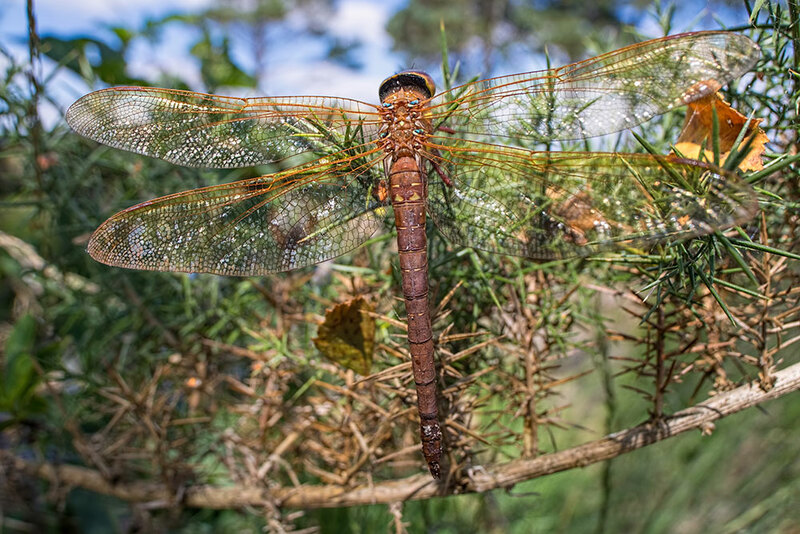 The first shot I took with it, was of this Brown Hawker dragonfly. What I like about the lens is that it gives a different perspective up close, and allows some of the environment to be included too. In this closer shot – taken on a tripod – I took a bracket of 3 images and merged them to HDR in Adobe Photoshop Bridge. The different closeup perspective I think will also give some good alternative shots of flowers as I get more proficient with it. 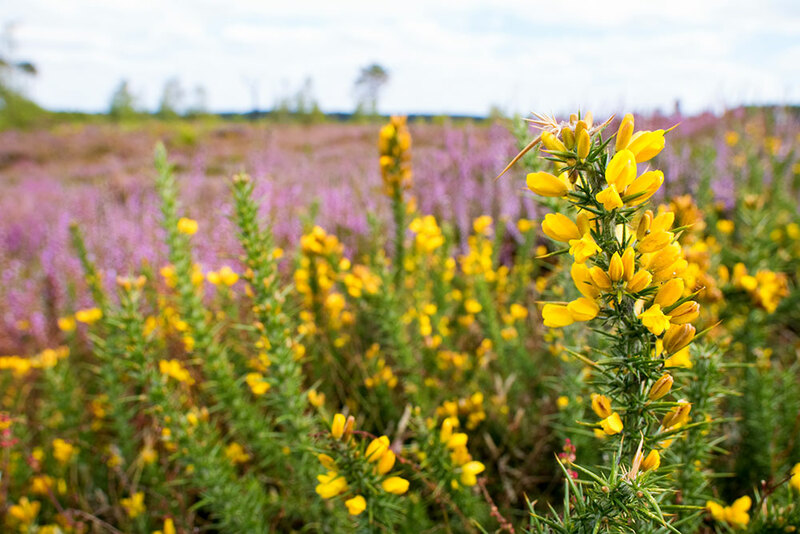 This gorse and heather shot illustrates the different view. These next two images – I hope – demonstrate the range of the lens. 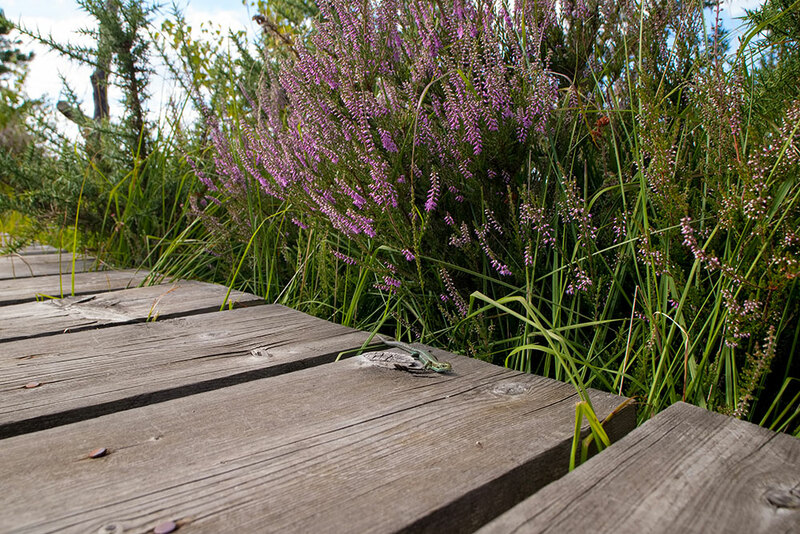 The first is a wide angle shot of a lizard on a boardwalk from a distance. Then I was fortunate to get fairly close to the sunbathing lizard. 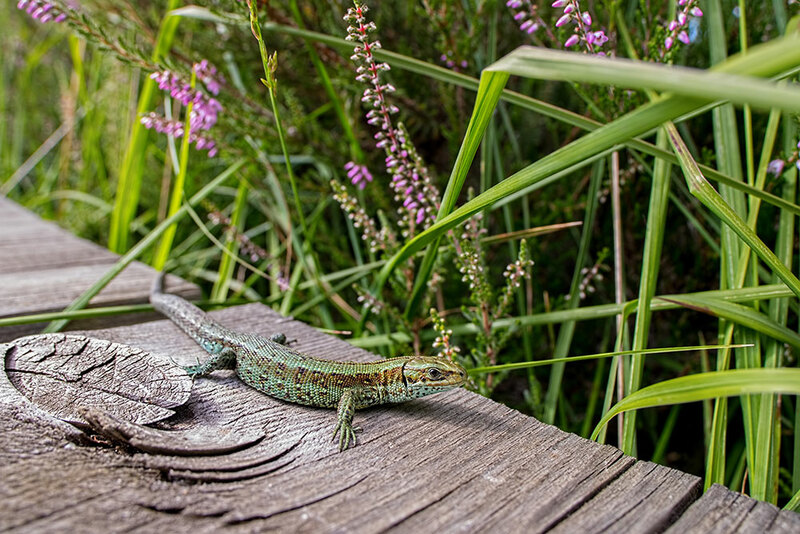 The lens gives closeup details of the lizard & also includes the environment. Overall I think this is going to be a nice lens in the macro armory – even if it is not an everyday macro one. I noticed that in some situations that the lens up close created shadows – for that some flash lighting will be needed.